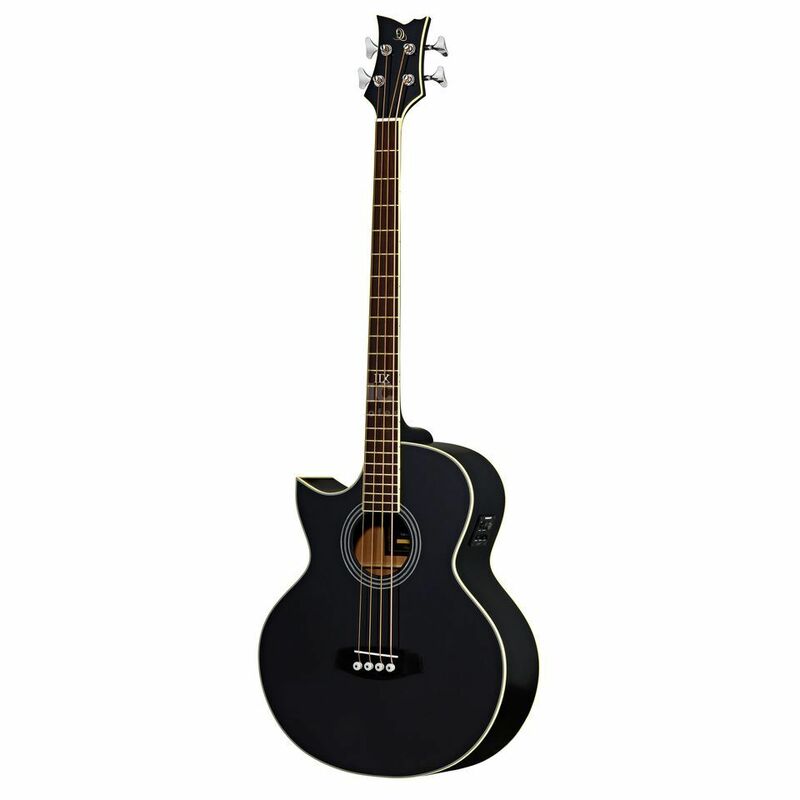 The Ortega D1-4 Left Handed Acoustic Bass Black is a 4-string acoustic bass guitar, with a spruce top, mahogany back and sides, rosewood fingerboard, black finish, and includes a bag and strap. Featuring the unique Florentine cutaway design, this acoustic bass guitar extends along a 32" medium scale with a 126mm body depth. Boasting secure straplocks, the D1-4 has a rosewood fretboard with white ABS binding, and a chrome-plated Ortega tuner and Fishman Isys+ pickup.